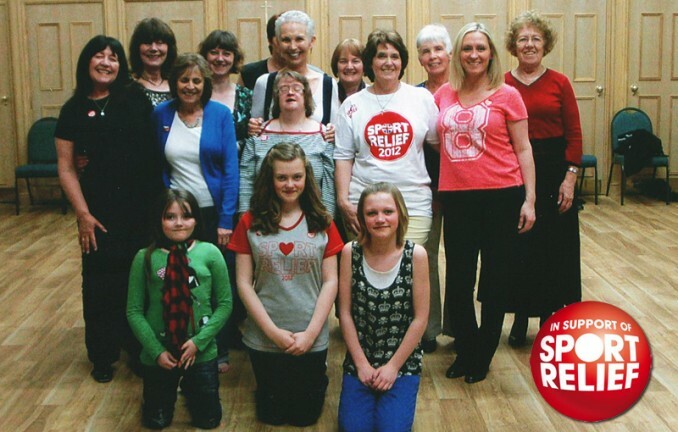 The Tap-a-Thon, run by Linda Tither here at Crownway Community Centre here on Monday 19th March from 2pm to 8pm successfully raised £300.00 for Sports Relief! The photo shows members of the Monday Night Class who helped raise the amount plus some new members who came along on the day. Huge thanks to all who supported us and well done! Linda teaches her Tap Dancing class every Monday night at Crownway between 7pm – 8pm, admission £4.00 for anybody wishing to come along; you will receive a very warm welcome from beginners to those who have Tap Dancing experience. We have a variety of music to suit everyone such as Dancing in the Moonlight, Penny Lane, Boogie Woogie Bugle Boy, Rockin’ All Over the World, Stepping Out and the Billy Elliot T Rex song, “I Love to Boogie”. Whether you can Tap Dance or not, come along, learn a dance in just an hour and raise much needed money for Sports Relief. Monday 19th March 2012, with hourly lessons between 2.00pm until 8.00pm. Admission per Hour: £5.00 for adults and £2.00 for children (8yrs+) and students. Tap shoes not necessary but it is advisable not to wear trainers or rubber sole shoes.